Those who opt to see Europe in the winter, reap the rewards: all the continent’s best destinations are refreshingly less crowded, less expensive and, dare we say, equally as beautiful as they are when it’s warm. Whether sipping hot chocolate in Paris or spending the day at a Swiss spa, you’ll be glad you’re in one of these charming spots when the temperature drops. One of Spain’s most visited cities, Barcelona has all the trappings of a great destination, including renowned architecture (by Gaudí, of course), serious shopping and a vibrant food scene. Like other popular destinations, the one major drawback is the crowds. Booking a Barcelona getaway in the cooler months solves that problem, and you’ll be feeling good about that decision when the sun is still shining and the queue for the Sagrada Família is short. 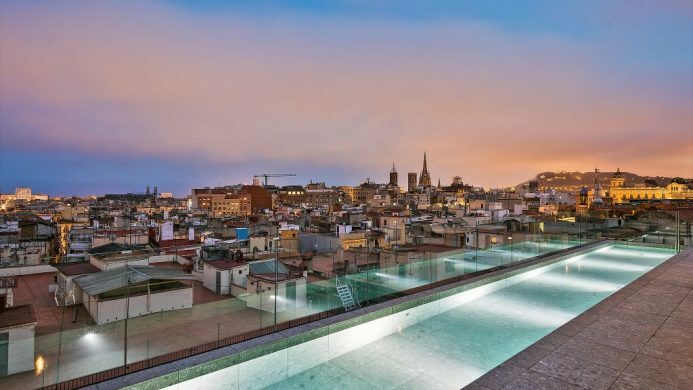 One of many boutique hotels in Barcelona, this urban oasis stands out with an adults-only spa, near perfect location in the popular El Born neighborhood and a rooftop pool that offers panoramic views of the city below. A beautiful little town just 35 minutes from Paris, Chantilly might just be the French capital’s most underrated neighbor in all seasons. While enchanting any time of the year, the surrounding Chantilly forest is extra mystical on a cool fall or winter day, and the idyllic Château de Chantilly could give Versailles a run for its money. When here, don’t forget to catch a thrilling race at the Hippodrome—this is France’s horse capital after all. 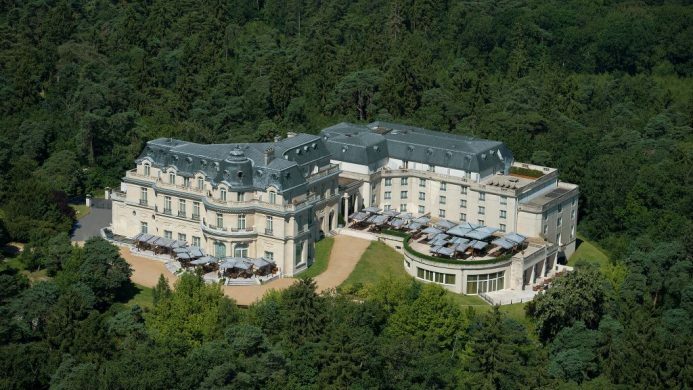 An authentic circa-1900s chateau, this refined getaway is close enough to everything Chantilly has to offer yet peacefully quiet at the same time. The upscale spa and fine dining makes spending time here special, and the plush rooms may facilitate the best sleep you’ve had in ages. Speaking of the City of Light, Paris is famed for being the most beautiful city in the world and this may ring most true when the weather is a little brisker. After you glimpse the morning mist as it lingers over Notre Dame or savor a cup of hot chocolate at Angelina, a winter trip to Paris might become a yearly tradition. 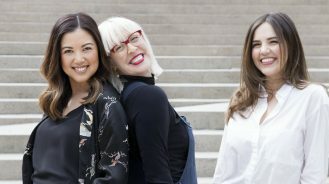 For fashion fans, winter sales are held twice a year as mandated by the government (usually running from early January to February) so there is no better time to head to Galerie Lafayette for a shopping spree. 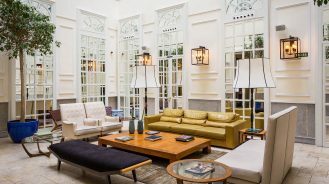 One of the newest hotels in Paris and the latest triumph from French hotel group Evok, Brach Paris brings the fanciful design of Phillipe Starck to the heart of the 16th Arrondissement. 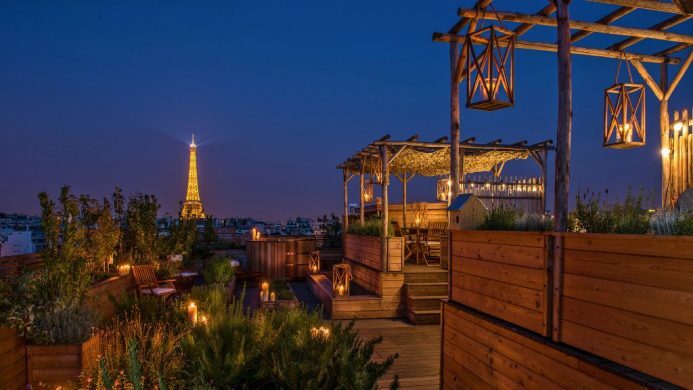 A large rooftop garden is the true pièce de résistance with views of the Eiffel Tower sparkling in the distance. In recent years it feels like everyone is heading to Italy’s Amalfi Coast. If you’re looking for the quintessential Amalfi Coast experience, save up to go in the summer. However, if this isn’t your first time or you’re looking for a more authentic taste of this picturesque destination, booking during the off-season may be perfect for you. Think quiet days overlooking the impossibly blue waters of the Mediterranean, perfect weather and fewer people. Also, flights and accommodations are practically a steal. 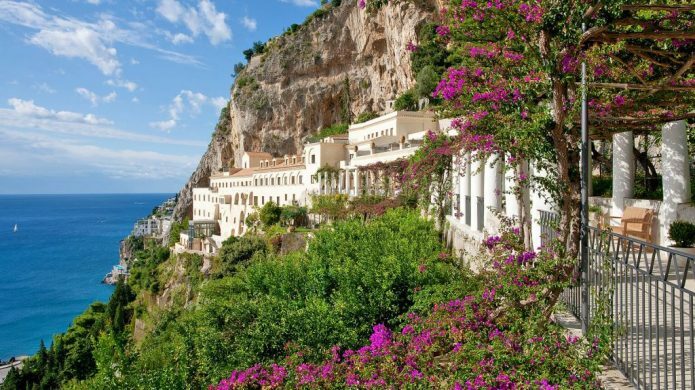 Formerly a 13th-century monastery, this Mediterranean beauty boasts one of the best views of the picturesque Amalfi Coast. 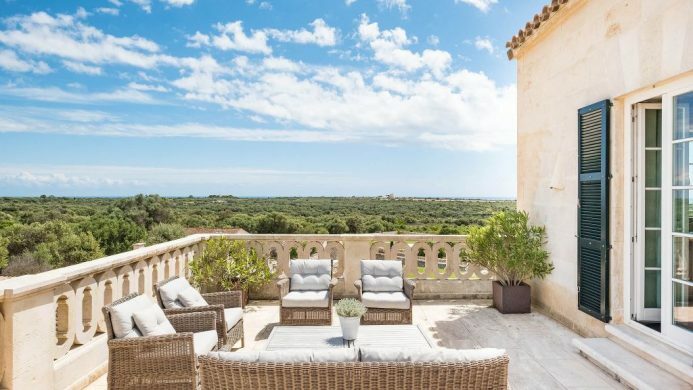 Perched cliffside, the historical property’s revival also includes all the comforts of modern day with tech-savvy amenities and marble bathrooms. Covered in snow, Amsterdam looks like a fairy tale. Spring may have the florals of Keukenhof, but winter brings you the twinkling Amsterdam Light Festival which transforms the entire city into an outdoor art gallery. Plus, if the weather is just right, the famous canals in the city will freeze, turning it into the most beautiful ice rink in the world. Prefer to stay indoors? 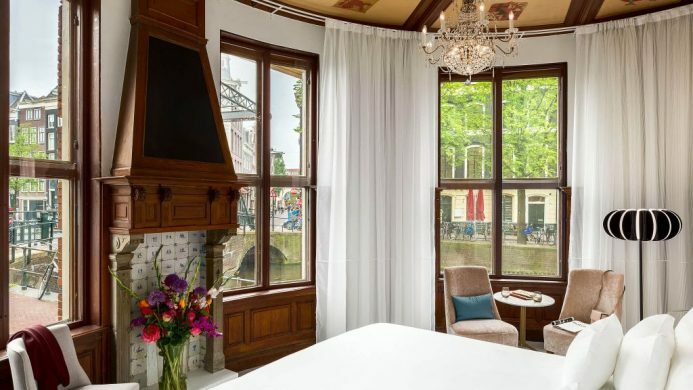 The Rijksmuseum, Anne Frank House and Van Gogh Museum will provide endless inspiration. Set in historic buildings in the heart of the city, these landmark hotels are walking distance to all the aforementioned museums and attractions. History buffs will love NH Collection Amsterdam Doelen’s colorful past (iconic figures such as Empress Elisabeth of Austria and The Beatles have walked their storied halls) while foodies will flock to the Grand Hotel Krasnapolsky since they employ one of the country’s top chefs in its kitchen, making it one of the best places to stay in Amsterdam. If winter was never your favorite season, the Swiss might change your mind. With phenomenal outdoor markets, some of the world’s best spas (trust us, you can spend entire days at these expansive wellness centers) and culinary delights such as fondue and Glühwein warming you up, it’s hard to imagine a better winter destination. 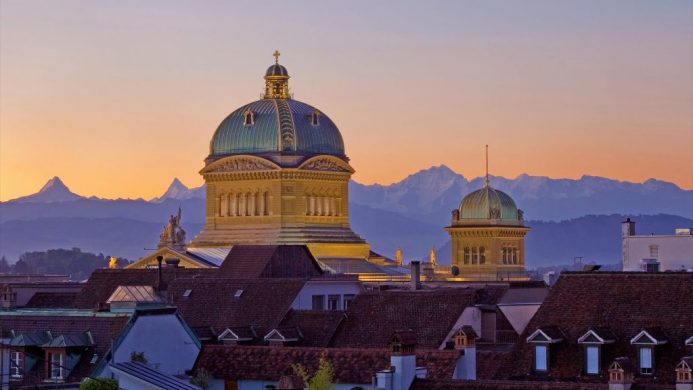 With one of the best spa’s in the country and a railway station-adjacent location, the legendary Hotel Schweizerhof Bern is easily one of the best luxury hotels in Bern and makes a great stopover if the Swiss capital is only one part of your itinerary. With its year-round sunshine, the French Riviera shines in the winter. We’re hardly the first ones to figure that out—nobility, royalty and great artists would flock to the Côte d’Azur exclusively during the winter months as the summer was considered too hot. The good news is that today most tourists largely ignore this beautiful part of the world, which means it’s the perfect time to enjoy some fantastic low season deals and have the coast to yourself. 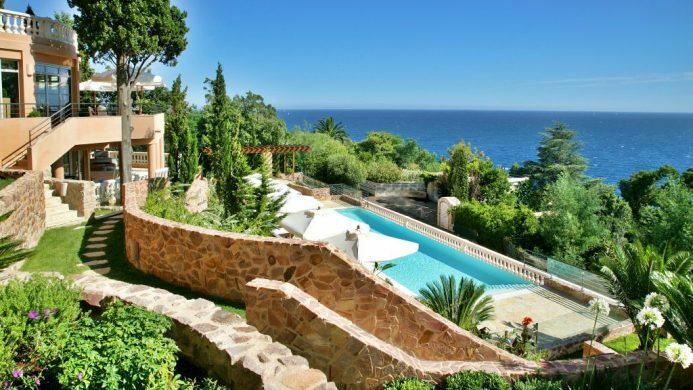 Just a short drive from Cannes, this glamorous escape brings together the best of the French Riviera with jaw-dropping sea vistas, lush gardens and al fresco dining. Spend a few days here and you may be tempted to permanently relocate. Enjoying more than 300 days of sun a year and boasting some of the warmest winters in the Mediterranean, Cyprus is a clear choice for a winter vacation. Although some hotels and restaurants close for the off-season, there are still plenty of options, and it’s a good way to see where the locals like to enjoy their leisure time. Much more than just a beach destination, Cyprus’ history means there are lots of archaeological sites to satisfy history buffs and these incredible sites won’t be overrun. 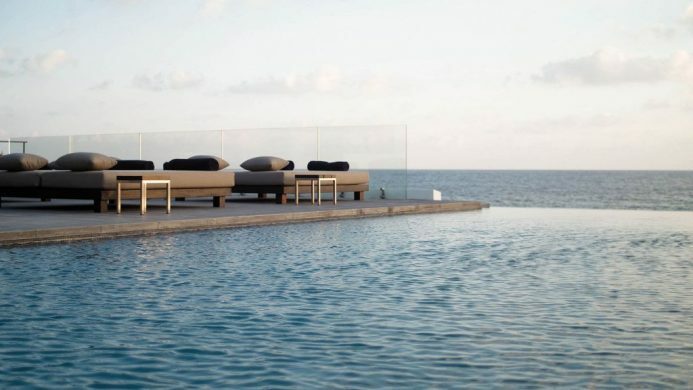 Open year-round, the family-friendly Almyra was the first seaside resort in this beautiful part of the world and continues to be one of the most fantastic 5 star hotels in Cyprus thanks in large part to its ongoing renovations and seaside locale. Come September, the flood of tourists to Marbella is reduced to a savvy few and now you can join this well-informed group. Marbella’s charm is truly in the outdoors with beautiful hiking trails, al fresco dining, spectacular beaches and world-renowned golf. However, the unforgivable heat in August can make spending time outside taxing, which makes the gentle autumn and winter breezes a welcome change and a great reason to visit during the off-season. 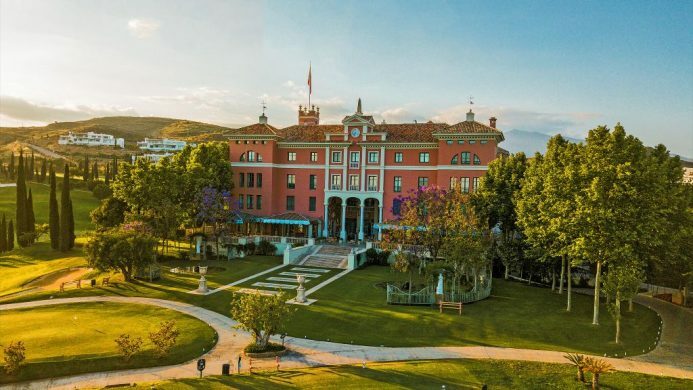 Surrounded by three golf courses and close to the beach, Villa Padierna Palace’s excellent location, impressive palatial architecture and large terraces make it one of the best hotels in Marbella for good reason. One of the most unspoiled parts of the Balearic Islands, Menorca still attracts many crowds due to its famed beaches. However, once summer fades this island getaway is mostly deserted, making it all the more enticing for those who seek quiet to come during the winter months. Explore Ciutadella, the Island’s old town and take in the picturesque buildings and quaint cobbled streets free from the usual hordes of tourists. The weather remains mild though so beach-going and golfing is still available. A luxury country house set amidst 250 acres of wild countryside, this intimate retreat does rustic chic exceptionally well. 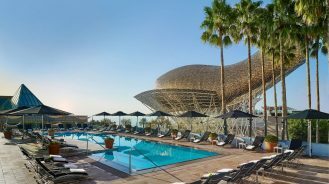 The phenomenal cuisine prepared with fresh ingredients from the hotel’s on-site fruit and vegetable gardens and butler service are also standout features.